Keep those bugs outside where they belong! 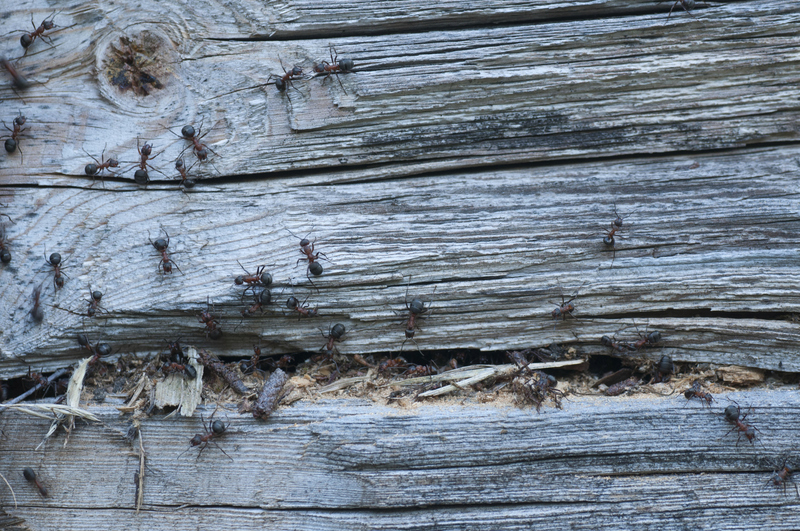 Now that spring is upon us, you may have noticed a spike in bug activity. All the little creepy crawlers are coming back after a harsh winter and they’re hungry either for crumbs or for you. Whether you are grappling with mosquitoes, ants, or spiders, there are ways of reducing your home’s bug risk. Ready to find out how you can get rid of these pests without the use of harmful chemicals? Let’s do it! Make sure that your doors are sealed up nice and tight. Bugs can slip through tiny cracks, so try to minimize them. You can purchase a door sweep from a local hardware store that can easily help with this. Adding a door sweep to your door can also help keep your air conditioning from escaping, so it’s a highly beneficial thing to do. Bugs need to eat too. It’s very common for bugs to invade the kitchen area because of all the food crumbs that can congregate there. Make sure to wipe up all spills and crumbs whenever you clean your kitchen. You should also take the time to seal any containers of food so that bugs cannot infiltrate your snacks. If you have pet food sitting out, you need to bug-proof it. Critters need to eat, and if they can’t find food in your home then they will look elsewhere, which will be good for you! Let the birds do their job! Encouraging natural predators is a great way to keep mosquitoes and other irritating pests at bay. This might mean leaving some spiders around the outside of your home. Spiders, though somewhat frightening, can help to keep insect populations in check. Allowing birds to help you is another great way to keep pests under control. Attract bird with appropriate nesting solutions and bird feeders. Then, just let them do their job. This entry was posted on Friday, May 15th, 2015	at 2:28 pm	. Both comments and pings are currently closed.